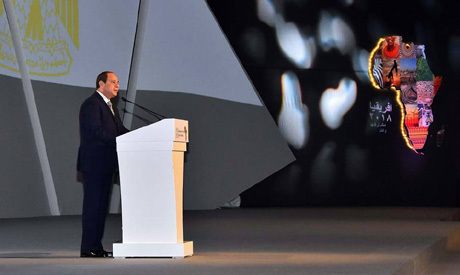 Egyptian President Abdel-Fattah El-Sisi has inaugerated the opening ceremony of the Economic Africa 2018 Forum, "Business For Africa and the World", which kicked off Saturday in Egypt's Red Sea resort of Sharm El-Sheikh. The opening ceremony saw a number of African heads of state as well as 41 prime ministers from the COMESA group in attendance. A number of Egyptian ministers are attending the forum. 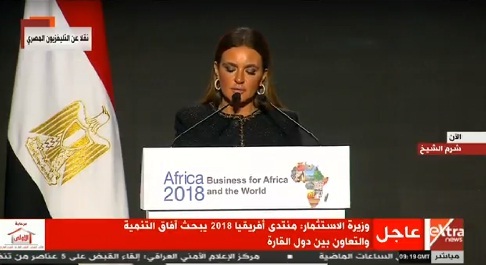 Egyptian Minister of Investment and Cooperation Sahar Nasr said during her speech that Africa needs foreign investment worth $150 billion. "That means the gap is $90 billion,” Nasr explained. Nasr highlighted the importance of investing in African countries to help the economy of the continent flourish. Head the COMESA Regional Investment Agency Heba Salama addressed her speech at the ceremony to the importance of cooperation between African countries. A number of sessions on empowering the African woman will be held as part of the forum, including a roundtable discussion on the importance of gender equality to achieving progress in Africa. Several sessions will be held on the first day of the forum under the theme "Entrepreneurs Day", including one on strengthening regional economic systems in Africa, consolidating cross-border cooperation and opening up new markets for African economic blocs. More than 3,000 African entrepreneurs are participating in the investment forum.